Valerie Block is the author of the novels Was It Something I Said? 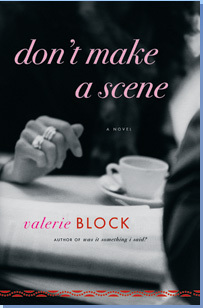 (SoHo Press, 1998), None of Your Business (Ballantine Books, 2003) and Don’t Make a Scene (Ballantine Books, 2007). These books were comic novels of (bad) manners set in present-day New York City. Her newest novel, Quid Pro Quo, is an ancient historical thriller about status anxiety and the corruption of power. The book, which has not yet found a home, is set in the court of Caligula, the third Emperor of Rome, and you can read about it here. Inquiries about Quid Pro Quo should go to Anne Edelstein at Anne Edelstein Literary Agency. A private person perfectly comfortable reading papyrus in an analogue cave, Block is currently in the process of “digital transformation.” On the other hand, not everything needs to be transformed; Block is starting an anti-social network; would you like to not join her? 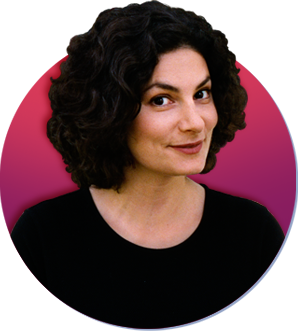 Born and raised in New York City, she received a BA from Barnard College and an MFA in creative writing from Columbia University’s School of the Arts. She has been a fellow at Hawthornden International Retreat for Writers, and a visiting artist at the American Academy in Rome. She lives with her husband and son in Montclair, NJ. Praise for Was It Something I Said?